Needless to say that any kind of art is a blessing that comes from heaven. 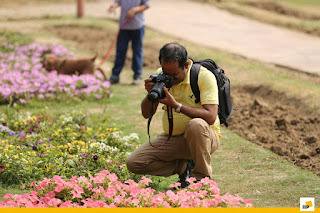 The art of photography is a unique blend of vision and science which captures the momentous moments of life and it can be discussed and talked about endlessly. One may be lucky having some inborn inclination towards any kind of art but to scale new heights in any walk of life, one needs to enhance the natural talent and sharpen skills. The same is applicable on the art of photography also. In the contemporary times, everyone is a photographer having a makeshift camera in the mobile phones. But, this kind of photography falls under the category of amateur photography which everyone can do. If anyone wants to make a mark in the world of photography and take this experience to the next level, one needs both experience and expertise that come from proper training imparted by the masters within the trade. 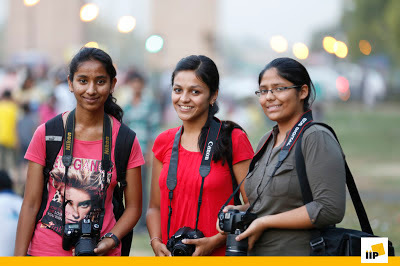 When it comes to finding an affordable photography institute in Delhi and NCR, the Indian Institute of Photography, based in Noida, is a formidable and respectable name in the arena. The Institute has set new benchmarks while taking its students to the next level of photography through proven training in a very short span of time. The photography enthusiasts across the region are empowering themselves in the Institute and coming out as IIP certified photographers. It’s the teaching philosophy of The Institute that sets it apart from the ordinary, while making it one of the Best Photography Institutes in India. The Institute is organizing Summer Photography Workshops these days in order to equip each and every photography enthusiast with the skills that they really need to develop and expand their passion for photography.